Awesome sculpting, doug! Salt looks great so far, very even and symmetrical. 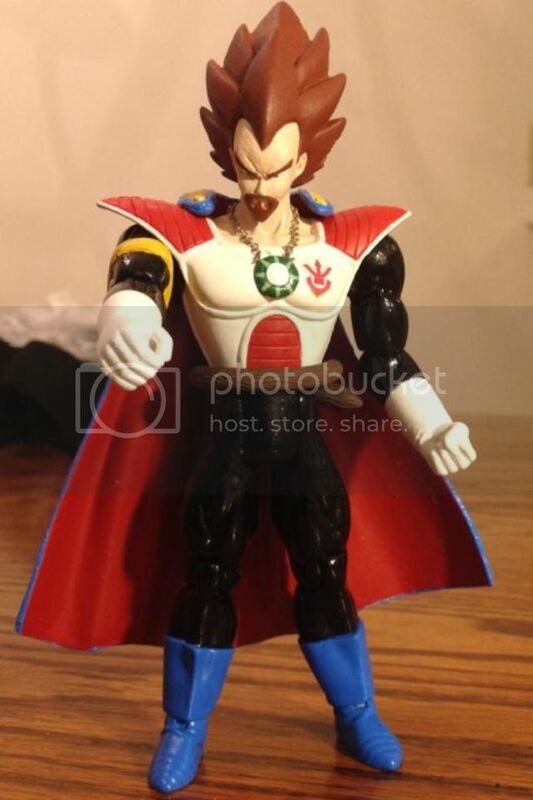 Give it to me lol Did you use a DWC Nappa body? I have some hair pieces that might be of better use and save you time. Like what? Anything would help! I'll take a pic. Which 18 are you referring to? My Buu Saga? 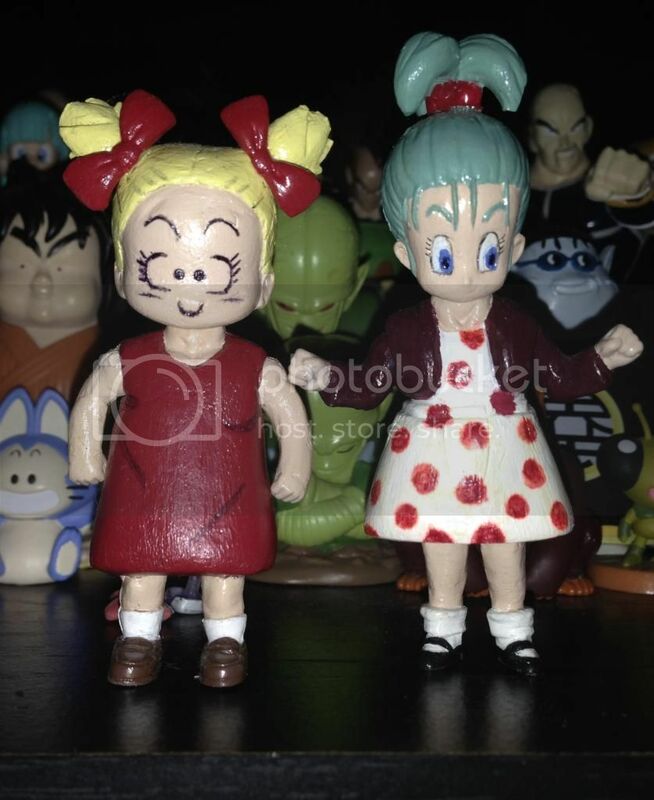 Figured I'd post some of my old customs. I've been needing to do this, but I haven't yet... Some of you probably saw most of these on the old forum. Anyway give all the credit to Adrenaline for the paint jobs! He made my okay customs look really good! Modifications: Shaved doen the head a little, sculpted the hair and dress, reshaped and sanded the arms, attached the legs to the sculpted dress. I might have made a few more changes, but I made this over a year ago, and I can't fully remember all the details haha. Overall, I really like her. She's a bit tall, and her shoes aren't exactly accurate, but I think she's cute. 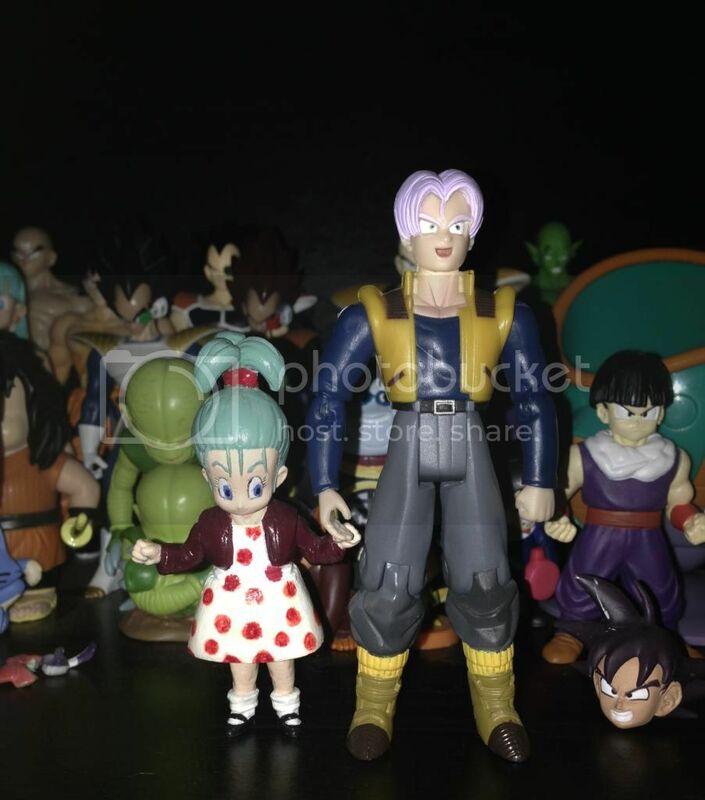 One day when bootlegs of the new Battle of Gods WCF find their way to eBay, I might make a new one, but until then she's a keeper! Modifications: Sculpted two pigtails, the dress, belt, and jacket. Attached the legs to the dress and heavily sanded them to not have pants. 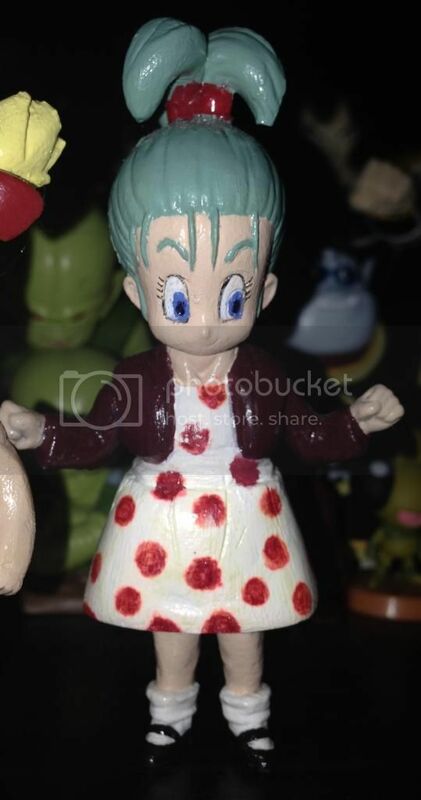 I really love this custom! 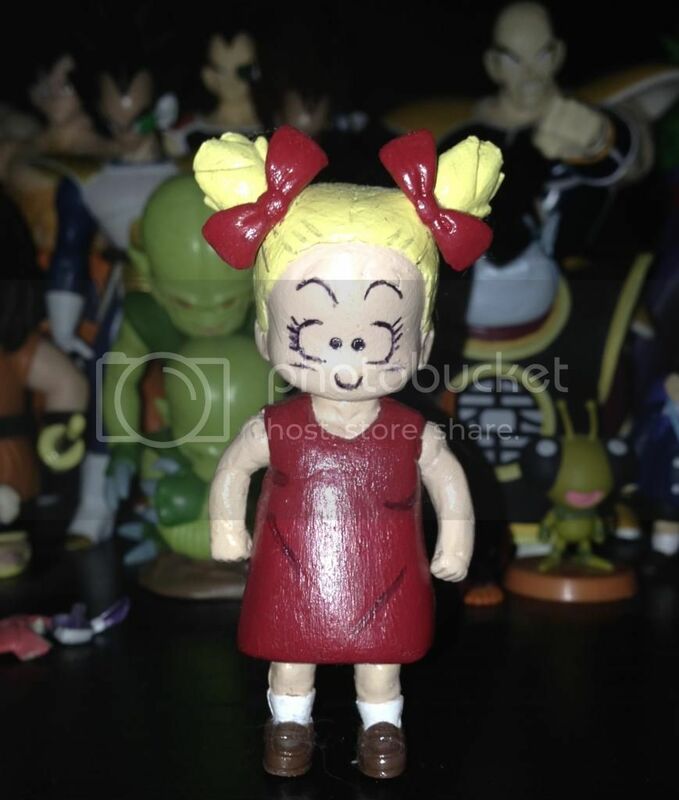 She's probably my favorite of my customs so far. She could use some improvements as I made her over a year ago as well, especially her legs... They need to be smoothened out a lot! But I'll probably never end up changing her. 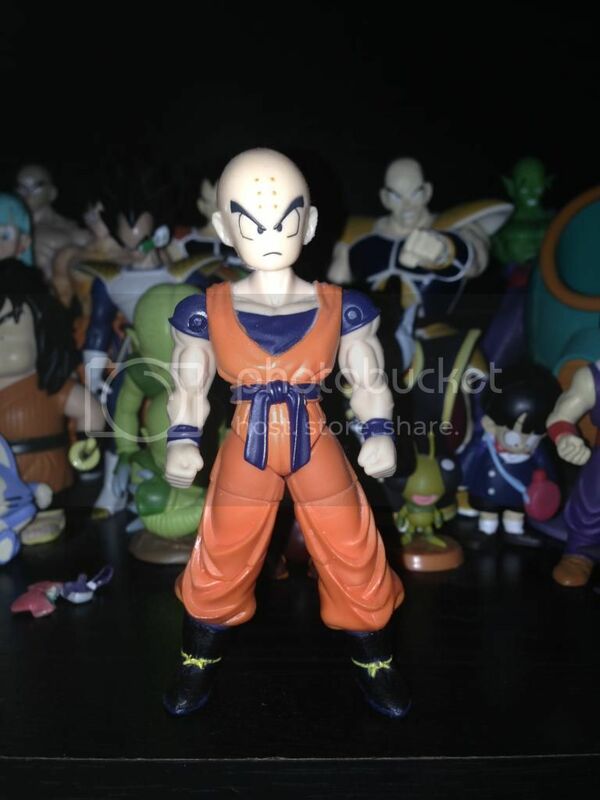 Modifications: Put Krillin's head on and sanded the laces off the boots. Then I repainted them black and blue. I know technically this one isn't done because it lacks symbols... So when I do attach them I'll update the pics. Overall, I do like him a lot! Very simple and easy. Modifications: Sculpted the vest, shirt, pants, shoes, sleeves, brooch, and the watch(?) attached to her pants. Even though I really like this custom, I feel it could be better. 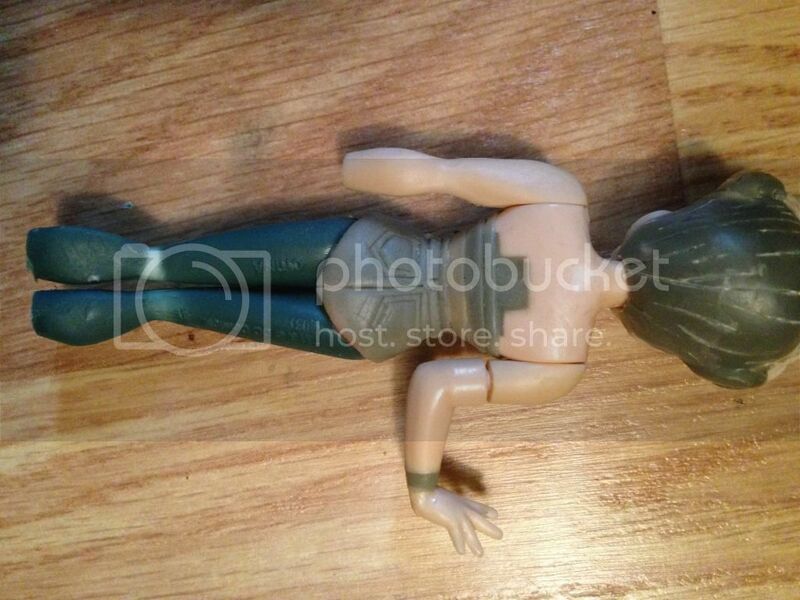 The shoes are a too rounded, the pants and vest could be sanded better, etc. I do want to make yet another (3rd one I know haha) in the future sometime. I have plans for it, but I don't know if it'll ever come to fruition. Pretty damn awesome! 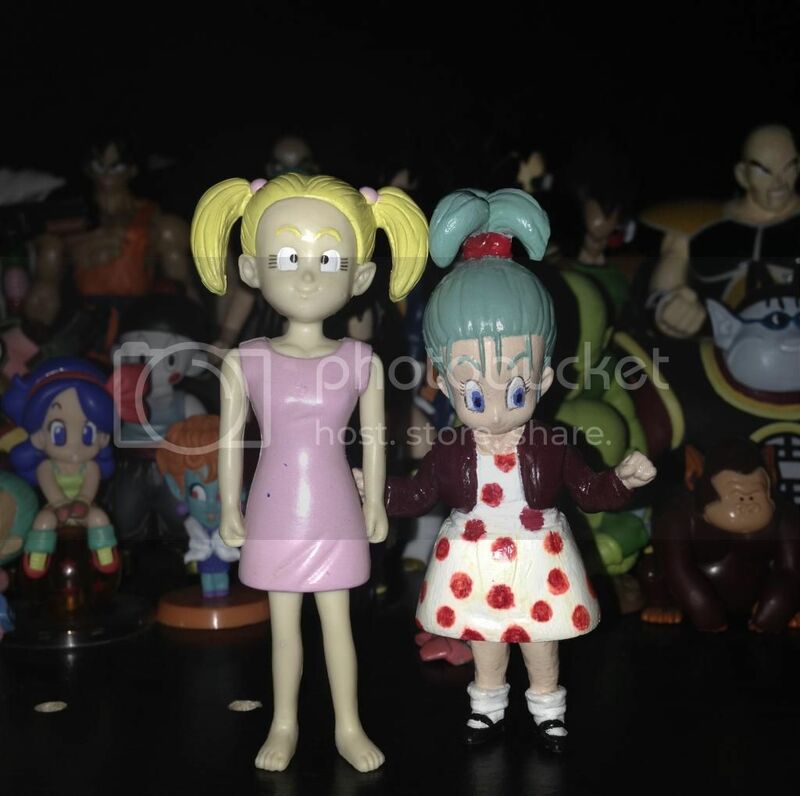 I always like your customs because you're picking things I haven't seen other people do! These are pretty great man! 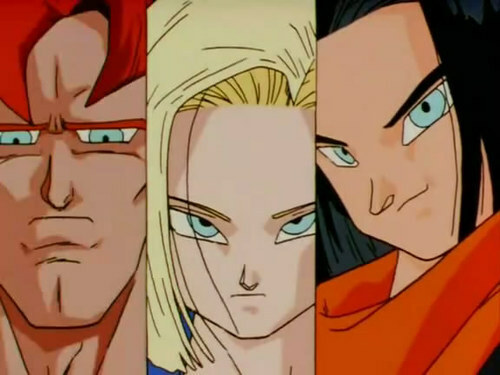 I love the 18, and you did a great job on the children as well. Holy crap, I didn't even notice Maron and Bra earlier. I want to steal them both. The Editions Atlas one too! 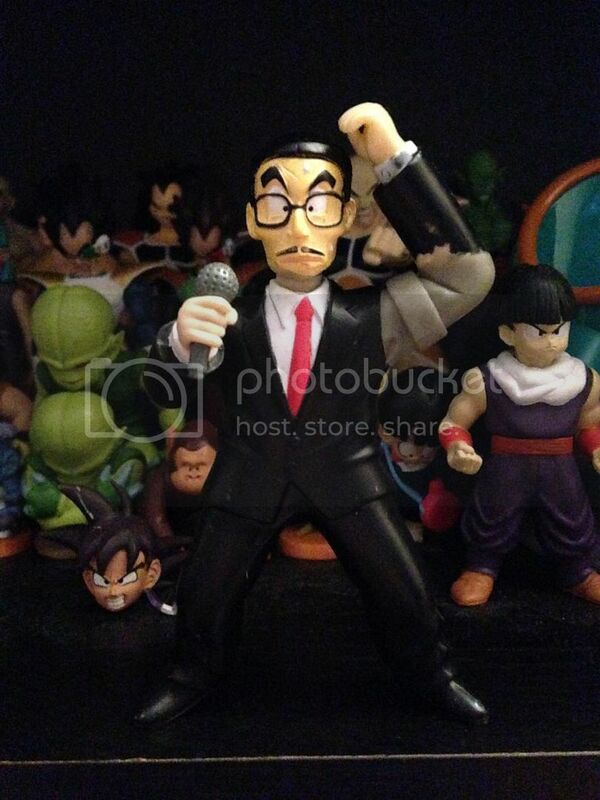 You don't happen to have an extra of that CP Krillin head you used to make Maron do you? 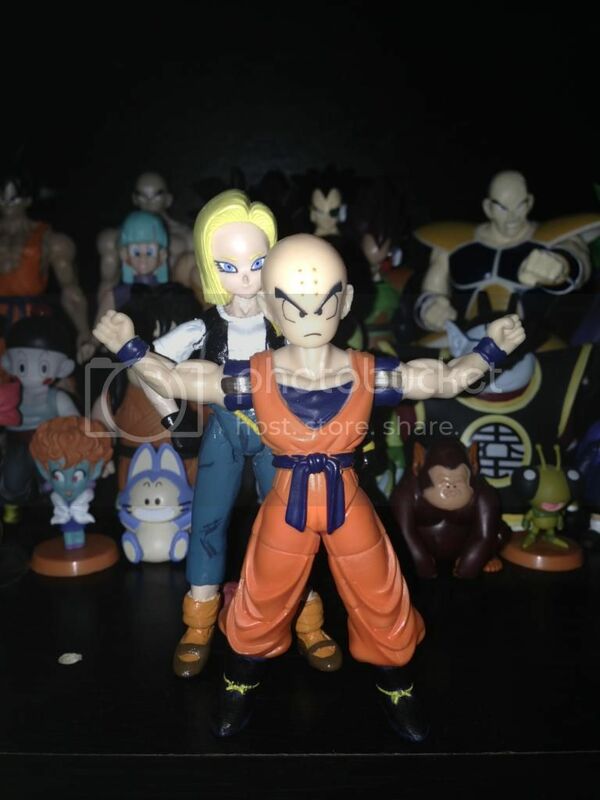 It's what I am looking for to finally finish my last Krillin custom. 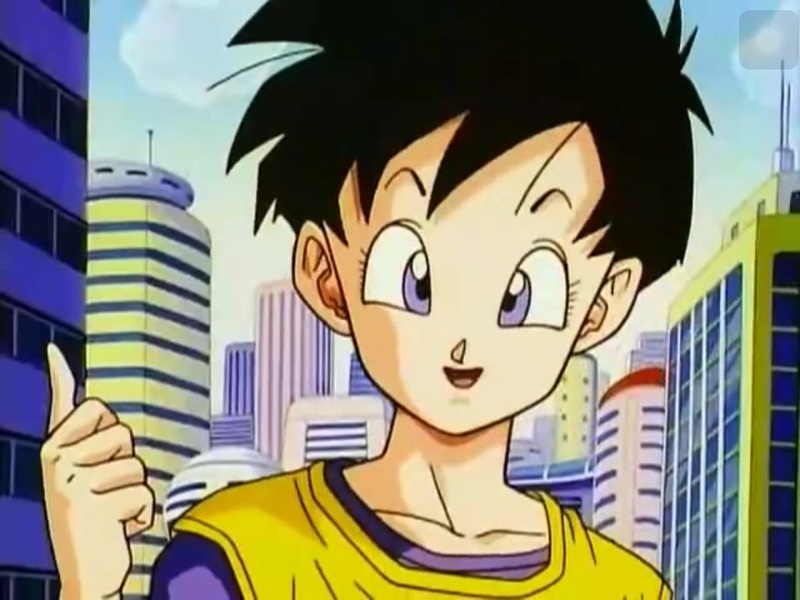 Regarding Krillin's symbols, did you purchase a symbol sheet from me in the past? Because I ordered some special sticker paper, and if it works out, I will be able to print actual stickers this time that don't have to be glued on! Thanks Branjita and juanjorman! I appreciate it. Branjita, i never did order a sheet of your symbols... I always intended to but didn't. 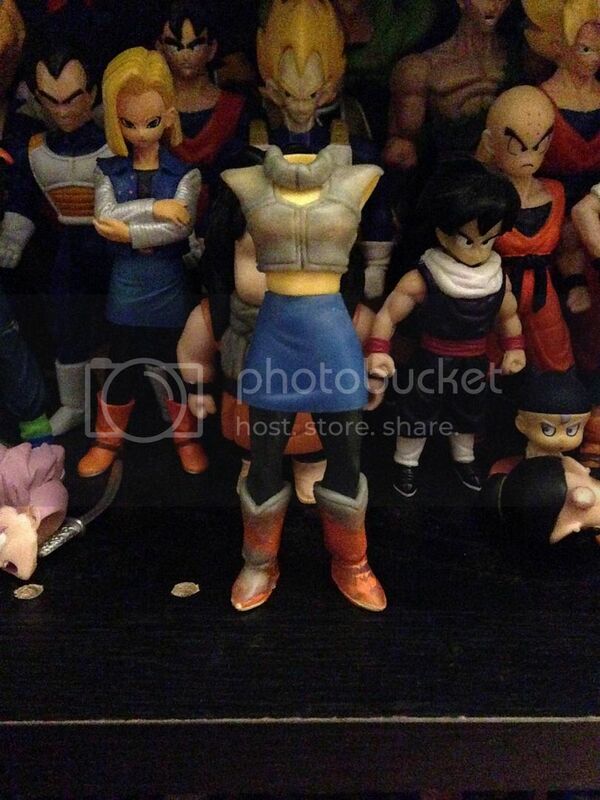 Unfortunately I don't have another CP Krillin :/ I'm looking for one as well. 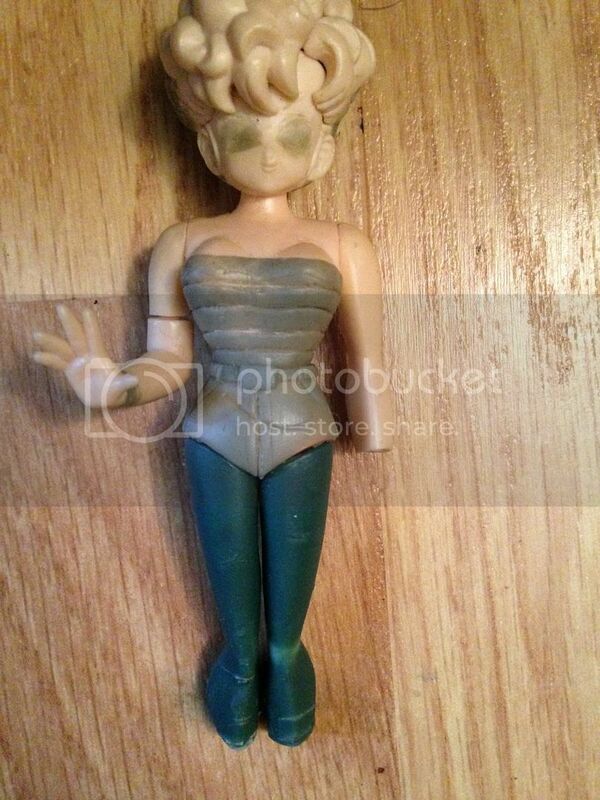 At one point recently, a bunch were listed on eBay as keychains, but I believe they all sold. Great to see these here! Now add some new ones like salt! I remember those! Can't wait for Salt to show up. Been awhile but since school started I have no free time lol. I've worked on some things, but not much to show for it. Great idea on Jimmy Firecracker! Mrs Briefs is going to turn out well. 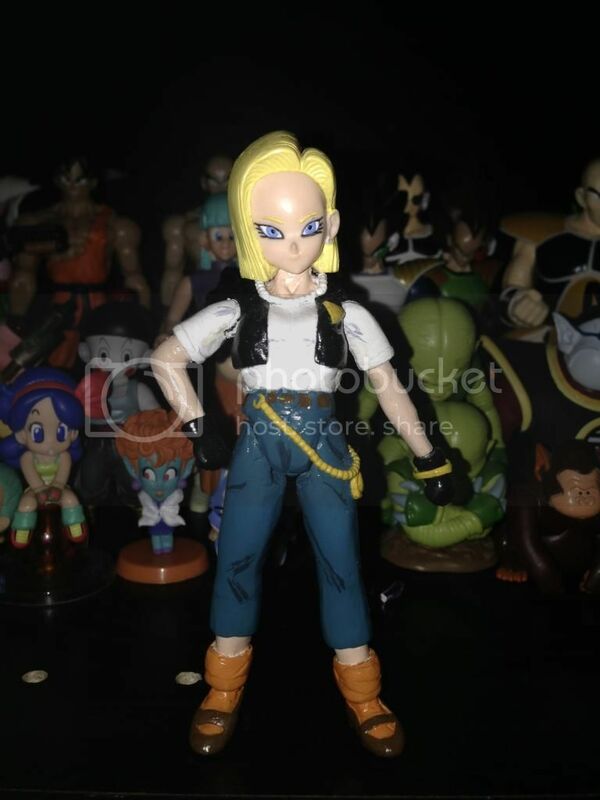 And western Android 18 is a good twist. I'm sure you have more time than you think. It's all about time management.